Social media pioneer. Master of disruption. Editorial reformist. Noted philanthropist. Chris Hughes is the embodiment of today’s brightest young innovators and represents the forward-thinking entrepreneurship and disruptive dogma that is aptly suited for our fast-paced digital world. Best known as one of the co-founders of Facebook, Hughes, along with his fellow Harvard roommates, took the simple concept of a student directory and turned it into a multi-billion dollar global phenomenon, setting the template for today’s social media landscape and transforming the way the world sends, shares and disseminates information. Yet while many others would have been content to sit back and enjoy the massive success of such a revolutionary venture, Chris Hughes has continued in his drive to set the new standards of both communication and the power to influence through new media. After leaving Facebook, Hughes coordinated the online presidential campaign for Barack Obama in 2008, merging the power of social media with politics and redefining the future of political campaigning. Hughes’ unprecedented success in this arena garnered him the title of “The Kid Who Made Obama President” by Fast Company magazine. 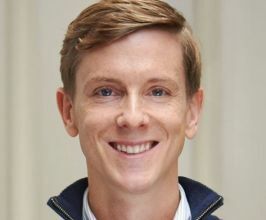 Most recently, Chris Hughes purchased the 100-year-old magazine The New Republic, in which he currently serves as publisher and editor-in-chief. Following his trend of disruption among the establishment, Hughes is leading the transition from a magazine into a multi-platform media company at the forefront of political and national affairs coverage,. Hughes’ experiments have paid off, fostering an entire new breed of accessible, entertaining journalism and growing the magazine’s once-diminishing readership by a factor of three on the web and 50% growth in print in only a year’s time. Chris Hughes’ keen ability to identify areas of opportunity and develop innovative ways to support and monetize those needs makes him an ideal speaker for any organization looking to take advantage of the new rules facing business today. From establishing the elusive “start-up” culture in big business to fostering meaningful disruption that can drive markets, Hughes helps companies of all sizes learn how to exceed and succeed in today’s fast moving global economy. In addition, Chris’ intense involvement with both national affairs and our education system make him a compelling speaker for schools, associations, community groups and other arenas with an inherent interest in the continued evolution of our society. All American Speakers is a speakers bureau and booking agency providing information on booking Chris Hughes for speaking engagements, personal appearances and corporate events. Contact an All American Speakers Bureau booking agent for more information on Chris Hughes speaking fees, availability, speech topics and cost to hire for your next event. Please Note: All American Speakers Bureau acts only as an entertainment broker/producer for corporate functions, private engagements and special events. All American Speakers Bureau does not claim or represent itself as the exclusive agent or management of Chris Hughes or any artist on this website. Speaker fees are determined based on a number of factors and may change without notice. Fees often vary based on a number of factors including: speakers schedule, supply and demand, length of presentation, location of event and other factors. Fee Ranges listed on this website are intended to serve only as a guideline. In some cases, the actual price quote may be above or below the stated range.